The new research project gets $10 million over five years, access to all public tweets, and "complete corpus of historical public Tweets." Do you hang out in the Twittersphere, your 140-character-at-a-time stream of consciousness on display for the world to see? Then prepare to be included a social media experiment of grand proportions. 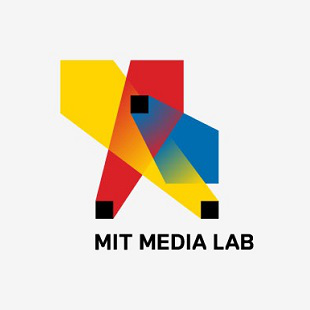 Twitter has teamed up with the MIT Media Lab on the Laboratory for Social Machines, a group dedicated to analyzing how thoughts and beliefs spread through social media. Developing technologies that analyze social systems, map the public sphere of beliefs, opinions, and events to create information feedback loops that close the gap between public will (constitutions, laws, ordinances) and collective behavior (customs, habits). Building tools for institutions and individuals to collaborate openly by debating and setting shared goals, then organizing themselves into sustainable networks capable of achieving social, cultural and political progress. Deploying social machines - networked human-machine collaboratives - alongside external partners in real-world situations with transparent, measurable objectives. It will be interesting to see how the lab will handle semantics and context -- both of which are hard to tackle on the Internet.How often have you made a joke, only to have it completely misinterpreted? MIT says it will work semantics into its real-time analysis tools, but how well these tools will work will be a long-term project in and of itself. The lab is getting its jump-start from Twitter itself, thanks to a $10 million grant spread out over five years. Along with the cash infusion, Twitter is giving MIT access to every public tweet on its network, along with an archive of older, historically important tweets. The only such tweet specifically referenced was Twitter co-founder Jack Dorsey's first tweet in 2006, but others (I presume) could include the President's first tweet, the first tweet from the CIA, and probably a handful of important thoughts from Kim Kardashian.